Winter is in full swing in Japan and it is cold! While the average daily maximum temperature for the Nagoya region in January is 9°C (according to the Japan Meteorological Agency), this year has been particularly cold with many days where the temperature doesn’t go above 3 or 4° C.
Japanese homes, unlike Belgian ones, are not equipped with proper heating systems. 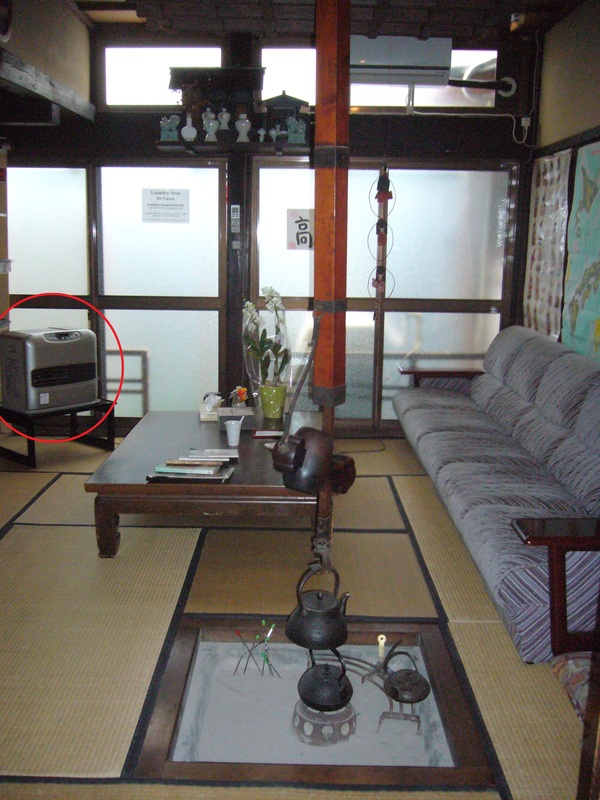 While every Japanese home has a state of the art air conditioning system to get through the hot and humid summers, nobody in Japan seems to have ever heard of a ‘central heating system’. 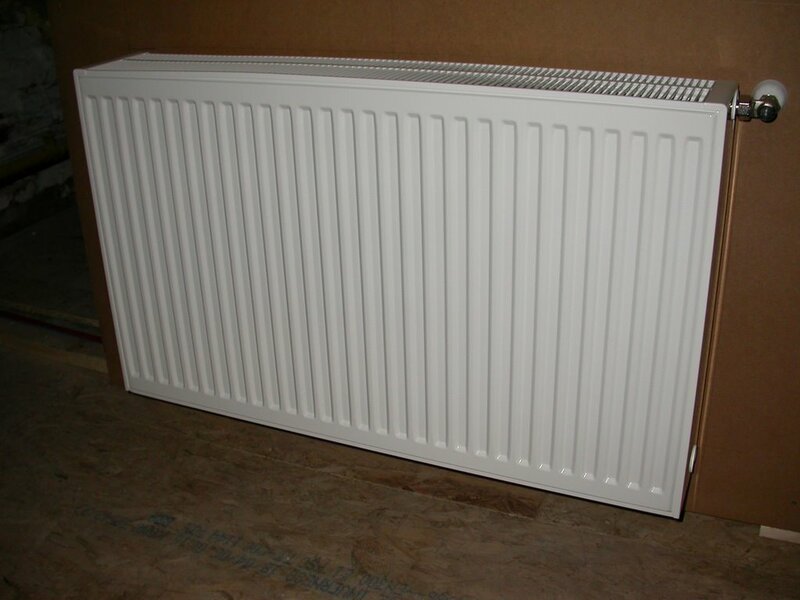 This is a central heating radiator. In Belgium, every room in the house has one or more of these radiators attached to the wall. Warm water is circulated through all of them. 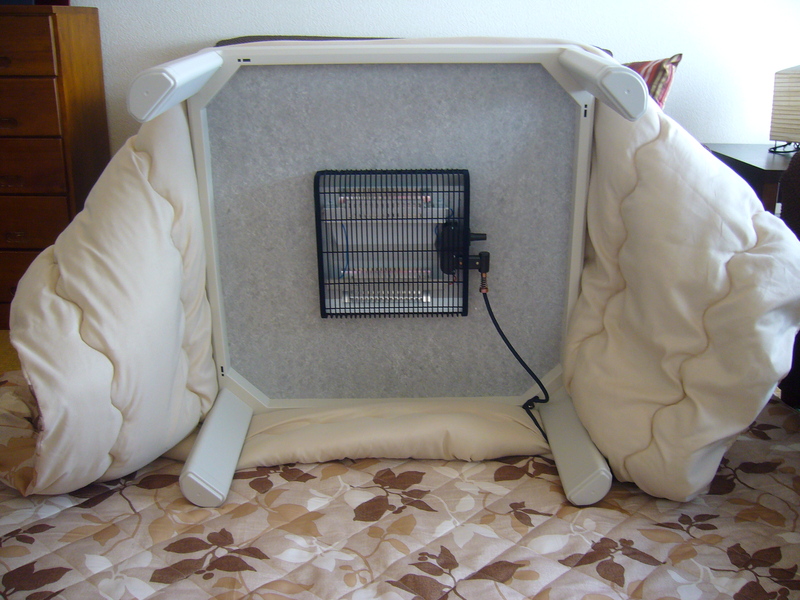 They emit a constant and comfortable kind of heat, a lot more agreeable than for example warm air heaters. How odd for such a highly developed country to not have a proper heating system for homes. Does anyone know why that is? In addition to that, Japanese homes are often quite drafty due to lack of proper insulation. Most windows, for example, only have single glass. Japanese people often use kerosene burners to heat their homes. These however give off a slight to rather strong kerosene smell, depending on how modern the heater is. An alternative to that is a small electric or ceramic heating unit. These usually only suffice to heat one room, not a whole house. Fortunately, Japanese homes are quite small. By far my favourite way to keep warm is the ‘kotatsu’. It’s a coffee table with a blanket coming out from under the table top. On the bottom of the table is a heating element. People who love their kotatsu so much that they hardly ever get out from under it are called ‘kotatsu mushi’ which means ‘kotatsu bug’. Guilty as charged. If after all of this you are still cold, you can adorn yourself with what I like to call ‘heat stickers’. You apply these rectangular stickers to your undergarments. Upon coming into contact with the air, the stickers emit a comfortable heat for several hours, until the material inside the sticker crystallizes. I later found out that they are called ‘hokkairo’ in Japanese. You can buy them in the supermarket and drugstore. A good way to warm yourself through and through is going to the onsen. 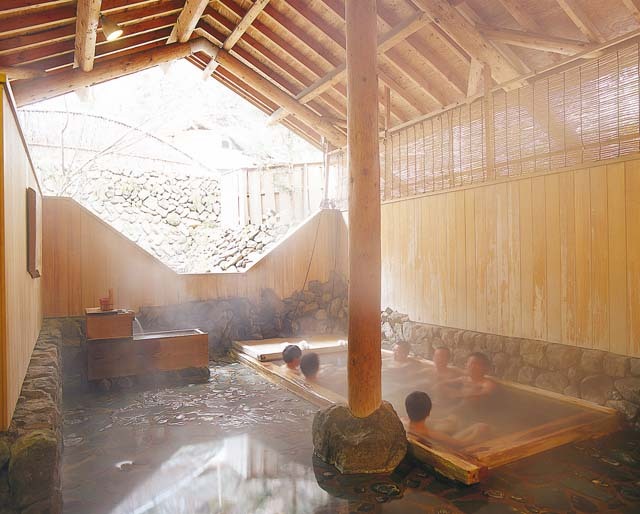 Onsen are typical Japanese bathing facilities where you can soak in hot baths for hours. The entrance is usually fairly cheap (about 600 yen) so a weekly visit is feasible if you have the time. Nothing is as uncomfortable as a cold bed. Since our bedroom is the coldest room in the house, a mere hot-water bottle to warm the feet does not suffice. Luckily a friend of mine recommended using an electric blanket. The blanket is placed under the mattress cover and can either be used to just preheat the bed or provide a steady heat supply all night long, depending on how cold it is. The best winter food to warm you from the inside out is ‘nabe’. Nabe is a one pot dish with meat, tofu and vegetables cooked in a shallow soup. It is usually prepared at the table with a portable gas burner, while the whole family gathers around. These are my tips and tricks. Feel free to add more suggestions in the comments section! Check out one more way to keep warm during Japanese winter: haramaki, the Japanese belly warmer. This entry was posted in Culture, Food, Japan and tagged Contradictions, Food and drinks, Heating system, Impressions of daily life, Izakaya, Kotatsu, Lists, Nabe, Onsen, The seasons, Winter by Haruko-chan. Bookmark the permalink. Hi Sofia, thanks for stopping by and commenting! Good luck with keeping warm, altough I imagine that in Japan, spring must be right around the corner by now. Almost time for beautiful ume blossom! Although we’ve been much happier since we got our kerosene heater, too. Now that I don’t live in Japan anymore, I really miss Uniqlo. I love my Heattech socks! Still forgot the best option: denis’ human heat. I’ve come across a few other ways to keep warm during Japanese winter. I was in Nagano in early January for a week and the temperatures went as low as -10 degrees some nights. In the morning, our toothbrushes were frozen! The traditional house I stayed in was, like you describe, without central heating or insulation. However, the inhabitants themselves were insulated, i.e. they wore thermal underwear everyday. I did too and found it makes a big difference. The house also had a “winter garden”, a fully glazed corridor down the length of the house; when the sun shone during the day, this corridor got very warm. The inhabitants also moved around a lot, they were always fussing and finding little jobs to keep busy & active with. Finally, there was lots of whiskey & warm sake, which can heat you up nicely too! Wow, frozen tootbrushes. That’s a whole new level of cold. Thanks for the other tips on how to keep warm. They remind me of one thing I didn’t mention in the article: haramaki. It’s a knitted cummerbund that keeps your abdomen (hara) and lower back nice and warm. The Kotatsu was my life saver in winter in Gifu until we got our heated carpet. Just Heaven! Hé, Helena en Dennis, nog steeds zo koud bij jullie? Ja,hé, de kotatsu vond Eva heerlijk! Het was er heerlijk warm onder. En het was zalig ontspannend vertoeven in de “onsen”. Het is even warmer geweest maar nu is het weer heel koud. I know this whole no central heating in Japanese houses foolishness will test my resolve to live in Japan every Winter. And I don’t even live in a “cold area” of Japan. He he, same here. When we first heard about the 9° C maximum temperature we were very happy. Around midday when the sun is out, it’s very comfortable outside. But the evenings at home are sooo cold! Some people mentioned to me that it’s actually more comfortable in Hokkaido during winter because apparently there they have proper insulation and heating systems. Good idea! The food is great there and the people are very laid back. The only turn-off would be all those typhoons I guess. Hehe. Thanks for posting my blog on Reddit by the way! I love it when new people find their way to this blog. De dyson verwarmingsventilatoren worden momenteel door onze ADHD- kabouter uitgedeeld aan de verliezende speler (blokken). Ze kosten 379 euro. Misschien toch de moeite ? Kan ook nadien thuis ingezet worden om bv. snel de badkamer te verwarmen in het tussenseizoen. Een beetje duur voor één winter. En aangezien het electriciteitsnet en de stekkers hier anders zijn, kunnen we ze in België niet gebruiken. Maar toch bedankt voor de tip. Ondertussen heb ik trouwens nog een tweede verwarmingselement op de kop kunnen tikken (gratis) dus we zullen het wel volhouden. De winter is hier in maart al gedaan denk ik. I don’t know why but we tend to heat concentrated spots rather than the whole house. For example, each room in the house could be warm but corridors and bathrooms can be coooooooold. It is true that it seems more economical to just heat one room instead of a whole house. But sometimes I see a heating element out on the street in the open air, for example at a restaurant to warm people waiting to be seated. Of course when I am the one waiting, I’m very happy for it 🙂 But I was quite surprised the first time I saw it. I never understood why people kept complaining that it was cold in Japan when it had like .. 4-10°C or so, coming from a country with -20°C in winter. Now, I know. I’ve survived 5 winters here and the insulation is horrible. 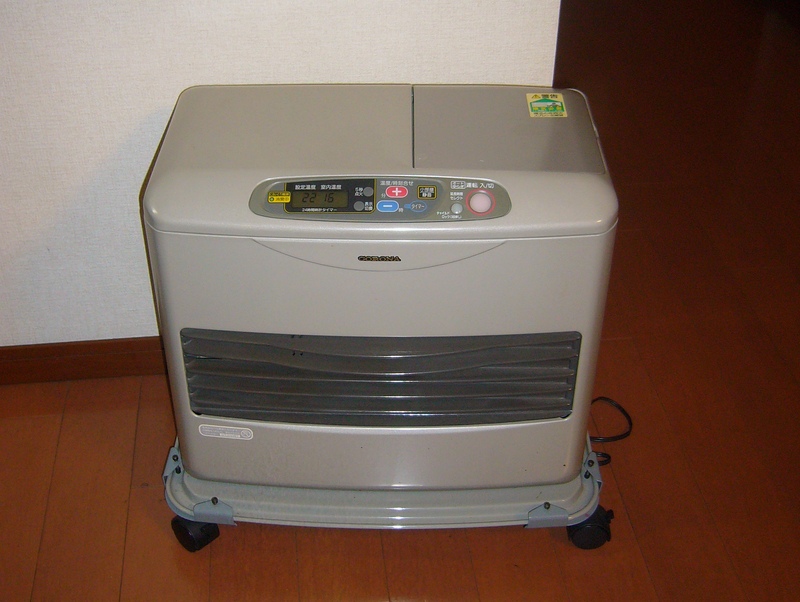 I heard that houses in Hokkaido usually have proper central heating and I saw a few hotels in the Chubu area (e.g. Takayama) have it, too. So, I guess it has nothing to do with earthquakes. I don’t like those smelly heaters! Luckiy my air con is enough to keep my small room (I only have one) warm. I get what you mean about the temperature. When being outside, the winter in Japan seems very comfortable. There are so many hours of sunlight here in winter. In Belgium we don’t see the sun for 4 months in winter (covered with clouds the whole time). It’s only inside the house that the cold gets to you, oddly enough. I was also wondering if earthquakes were the reason for lack of central heating. Maybe they don’t want gas lines under the ground in case of a quake. But if they have central heating in some areas, then earthquakes can’t be the reason I guess. I think kerosene heaters are even more dangerous than a central heating System in a Country with many earthquakes. Just like the gas stove. Wouldn’t it be better to have electric/inducation ones? I know you should turn the gas etc. off when you leave the house/when there is an earthquake, but many People don’t do that because they Forget or don’t do it because it’s annoying. So if there is an emergency there will be huge fires because of that. It’s a fact I just can’t understand. Yes, you are right, there are gas lines for cooking, which can be dangerous. So why wouldn’t there be gas lines for central heating? The only other reason I can think of is that they just don’t want to invest the money for a central heating system whenever building a house, since the winter in Japan doesn’t last that long. But then again, you’d think that such a modern and prosperous country would invest in the luxury of a proper heating system. Even most Japanese toilets have their own toilet seat heating system after all! The central heating conundrum thus remains unsolved. Are there any Japanese readers who know the answer? a suggestion: visit the site http://www.dyson.co.jp the fan heater seems very good to warm your house, maybe too expensive? A little expensive for just one winter… But thanks for the suggestion! We managed to get an extra heater for free from an expat who is leaving. So we should be ok.